Since I am nearing completion on Book 2, I figured now might be a good time to do a casting the Grimm Chronicles post. Yes, some new characters will be introduced in the latest book, but I will do another post about them when the time comes. And since the post about casting the Doorknob Society was so popular, I figured why not, lets have some fun. Jessica Grimm- Jess has evolved as a person and is no longer just a pretty face. She is scarred mentally and physically from what has happened to her and it shows in her personality. Teresa Palmer has been in movies like I am Number Four, The Sorcerers Apprentice and Bedtime Stories. She was one of my top choices when I did the blog for casting the Doorknob Society and still like her very much. Emily Van Camp of Revenge and Captain America: Winter Soldier I think could pull off a very good Jess. Nyla Foxglove- Nyla’s style is that of a punk rocker, though attractive she has a mean streak that can’t be denied. She thinks she is the best at everything and has a chip on her shoulder in everything she does. Jessica Lowndes of 90210 has the right look for Nyla and I think might be able to pull off the punk vibe. Ronan Sparrow- Ronan is one the best dressed men alive. He is concerned about his appearance both physically and how others perceive him. he tries to be sympathetic to those around them always looking for anything that might upset or bother them. he will then use that to gain you trust and confidence and allow him to get close to you. 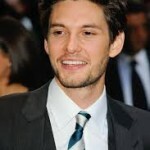 Ben Barnes wouldn’t have a problem with the accent and is in the upcoming movie the Seventh Son. 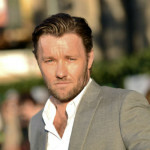 Joel Edgerton of Zero Dark Thirty though I think would be my personal choice for the role. he is a great actor and I think could pull off all sides of the character. Merric Vale- With his long white hair and scarred body Merric is an enigma. He will only gives the answers he feels are necessary and his motives are always in question. Yet it can never be said he had lied to you or tried to deceive you as he is very upfront though must people can’t see it that way. This is by the far the hardest part for me to cast so i will go with some suggestions I received. Charlie Hunnam of Sons of Anarchy and Pacific Rim has the right look and I think could pull it off if done correctly. Sullivan Stapleton currently starring in 300: Rise of an Empire could also be a very interesting choice for the complex part. Taylor Kitsch of Lone Survivor, Friday Night Lights and John Carter could also do a solid job as Merric. Let me know your thoughts on who should be cast in the comments below. i love your books! can you tell me when book 2 of the grimm choronicles is coming out? Thank you very much I’m glad you enjoyed them. Book 2 is finishing up now and should be available soon. I will be sure to post when it is on sale. I think Taylor Kitsch IS Merric, and like the idea of Emily van Camp as Jess. I think Taylor could be a good Merric. I think Taylor Kitsch would be wonderful as Merric.